Launched in 1989, FINCA Haiti is one of the oldest subsidiaries in our network, and currently serves the most borrowers in the region.. In a country where 40 percent of the population is officially unemployed, , FINCA supports small and startup micro-enterprises, enabling Haitians to create their own jobs. FINCA provides Village Banking, iSME, agricultural and local currency loans as well as money transfers services to clients in both rural and peri-urban areas of the country. Haiti has one of the highest rates of financial exclusion in the world -- nearly 3 in 4 adults lack access to a basic bank account. FINCA Haiti, which currently serves over 45,000 borrowers, is striving hard to fill this gap, through a five-year initiative funded by Global Affairs Canada (GAC). 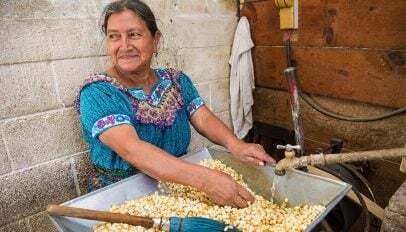 The GAC project will see FINCA continue to increase its outreach through Moncash, a digital payments platform, along with expansion throughout the country and a rigorous customer research program. The vast majority of FINCA's clients in Haiti are traders who face stiff competition in their crowded markets. This keeps their average margins very low, at 22 percent., equal to $1,800 per year. Despite this, our clients make intensive use of labor, generating the highest rates of employment (per enterprise) in the whole FINCA network. The average client business employs 2.7 people, including the owner. With such slim margins, however, they are unable to pay high wages, so most workers are earning below the national poverty line. Women make up 89 percent of FINCA's customers in Haiti -- one of the highest rates of female outreach in the world alongside Jordan. Other indicators of women's empowerment are also very strong in Haiti. Women make up the vast majority of business-owners, and they create most of the jobs. 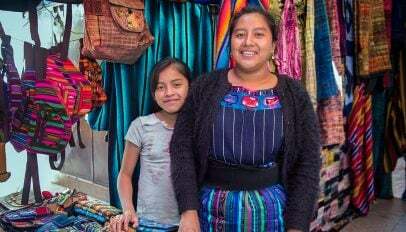 Forty-three percent of the people employed in our clients' enterprises are also women, who can enjoy the benefits that come with having an independent source of income. FINCA's borrowers in Haiti are very business-minded. Nearly four out of five are intent on expanding their businesses or starting one. These aspirations take precedence over other goals, such as improving their homes or acquiring assets. Our clients show great optimism in pursing these objectives, as shown in the high percentage who are meeting their goals with FINCA's help. 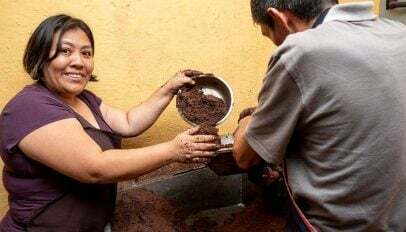 Gladiz Morales's sweet success as a chocolatier has supported her family, thanks to the help of FINCA's microfinance loans.